We’re continuing to talk all about the principles of persuasion — coined by Dr. Robert Cialdini way back in 1984. If you missed episode 70 where I introduced these principles AND went in-depth into persuasion pillar #1 (reciprocity) or episode 71 where we talked persuasion pillar #2 (commitment and consistency), you may start there. In Dr. Robert Cialdini’s book, Influence: The Psychology of Persuasion, Cialdini explains the psychology of why people say “yes” and how to apply these principles in your everyday life to persuade people. 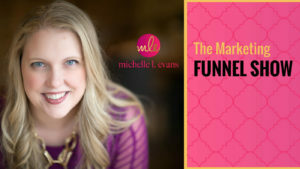 Today, we’ll tackle principle #3 and apply it to your marketing funnel because these will make a huge difference in how effective your marketing funnel actually is for your audience and your own results. So let’s dive into pillar #3 — Social Proof. The whole “follow the leader” idea is so ingrained in our heads that a lot of times we don’t even realize we’re using this social proof shortcut to make decisions. Social proof is a POWERFUL influencer. For a long time, this whole idea of social proof felt really hard and like an impossible catch 22; I had no social proof so no one would buy from me, and no one would buy from me so I had no social proof. It actually doesn’t have to be that hard. In fact, it doesn’t take thousands and thousands of testimonials to take advantage of social proof. All you need are three or four SOLID examples to crack the code on social proof. There are five main sources of social proof that you and I can access. You do NOT need all five sources, but you do need at least one source if you want your offer to take off. In a consumer study conducted by the folks at BrightLocal, they found that 88% of online buyers read online customer reviews to determine if a local business is good. The study also mentioned that 85% of consumers read up to 10 reviews before they feel they can trust a certain business. Because customers are unable to physically try out a product in an online store, it makes sense that they would rely on previous customers who have bought and tried it out. Building up your customers’ trust in your product will determine if they will buy it — and even manage their expectations when they eventually receive it. That doesn’t mean you have to have Yelp or Amazon reviews — although those don’t hurt — but you can see that having actual testimonials from your own buyers is critical. Two or three video testimonials will take you FAR in building trust and getting buy-in for your offer. One reason I like being a guest on other podcasts is that I get to leverage the trust that the podcast host has cultivated with their audience. The host is allowing me onto their platform and holding me up as an expert. Even if they’re not specifically recommending a program or service I offer, they ARE recommending my knowledge and expertise to their audience. The same goes for guest blogging and speaking. You can leverage the implied recommendation from others by engaging on their platform. Another way to leverage social proof is to have affiliates promote and sell your product, program, or service. A good example of affiliates is when you see a ton of people promoting programs online, like Marie Forleo’s B-School or Jeff Walker’s Product Launch Formula. When you start seeing 15+ people all selling it and sharing their own testimonials about the program, it’s easy to believe that if it worked for all these people, it’ll work for you too. Amazon leverages “Wisdom of the Crowd” a lot with a simple and effective message — “Customers Who Bought This Item Also Bought.” That’s pretty powerful, and oftentimes, that simple, hooky phrase will get ME to click and view more items that I didn’t know I needed. It’s also why so many authors want to get on the New York Times Best Seller list; they know that once they’ve made that list, it’ll be a lot easier to get even more sales. The books featured on the list gain both prestige and sales. People think if it’s good enough to be on the NYT bestseller list, it’s probably a great read. One way is to use the wisdom of the crowd to cultivate an online following. If you have a big following on social media, this is a great way to show that you’re legit. Doing Facebook and/or YouTube lives, sharing videos, or cultivating a Facebook group are ALL great ways to leverage the Wisdom of the Crowd. You’ll see that once you get it going, it’s a lot easier to gain new members because the crowd is already vouching for you. We know that customers trust recommendations from people they know much more than strangers. An experiment by Dr. Cialdini found that people were much more likely to participate in a door-to-door donation campaign if the donor list included their friends and neighbors. “Your friends have tried/visited this!” is a very powerful phrase. 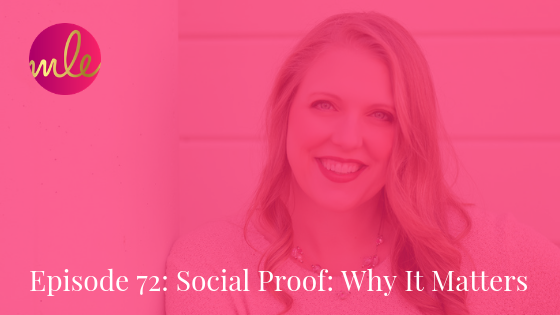 If you’re just getting going and need some help to get your social proof together, a great way to do this is to reach out to your network of peers and friends. The best means to do this is to help them in some small way so that they can give you a testimonial for your social proof that is real. You never want people to just make stuff up. Even better would be if they posted their recommendation publically from their own profile so that THEIR network can see that they’re recommending you.